Sony Ericsson has released a new set of commercials for the XPeria Play, Sony’s video game-centric mobile phone. The commercials star comedian Kristen Schaal, best known for her role in the Flight of the Conchords television series. Schaal showcases the large number of games already available for the XPeria Play, including Minecraft, Modern Combat, 9MM and Reckless Racing. 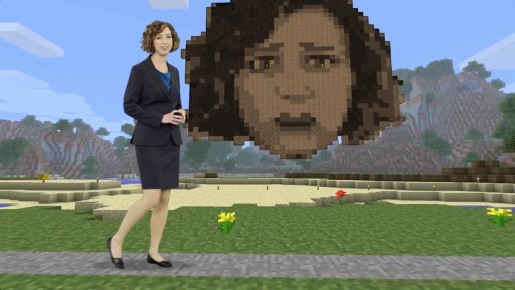 In the Minecraft commercial, Kristen Schaal takes a stroll through her Minecraft world and presents a giant replica face made of dirt. She invites the watcher to build her an extravagant creation and post it as a video response. In the T-Squared commercial, Schaal is joined by TSquared, a professional gamer with MLG. 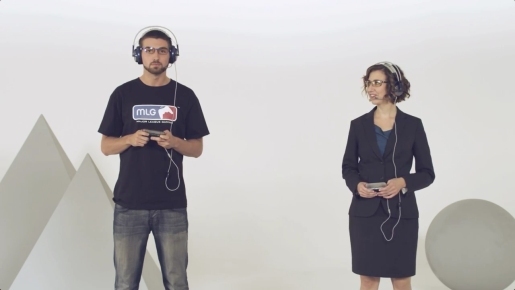 She challenges him to three of the multiplayer games available on the XPeria Play. The Kristen Schaal XPeria Play campaign was developed at McCann Worldgroup, New York, by executive creative director Tom Murphy and Sean Bryan, associate creative directors Matt Bisher and Jason Schmall, group creative partners Tom Murphy and Sean Bryan, executive business partner Jeff Geisler and producer Minnie Tran. Production was done by Caviar, Los Angeles, by executive producers Michael Sagol and Jasper Thomlinson, producer Christine Brown, director Nick Jasenovec, director of photography Jesse Green and production designer Benjamin Bamps. The commercials were edited by Ed McGowan at Post Op in New York, with producer Jeff Fischer. Is the Sun Killing You?